Firstly I probably have to apologise. One thing that I try so hard not to do in my recipes is use crazy ingredients that you can only find in outer Mongolia and that cost the earth. I have always hated recipes that have way too many ingredients and techniques as in my opinion good food just doesn’t need to be THAT fussy, does it? A bit like a wordy article that goes on and on but has no argument or relation to its title, the more ingredients you use the more the recipe loses what it’s actually meant to be about. I mean, seriously, since when did a humble apple pie have 15 ingredients and contain names of flours that sound and look like they should be shut away in a policeman’s drugs cupboard (yes Tapioca, I’m talking to you)? I suppose being a Paleo recipe creator, it goes without saying that some of my ingredients aren’t going to be every day staples in the kitchen cupboard, however as people become more aware of what’s good for them, supermarkets are jumping on to the health band waggon faster than anything and now stock pretty a variety of these “health” ingredients. Failing that, health food stores, Amazon and many online shops like Perfectly Paleo (if you’re in the UK) will fulfil your slightly more obscure Paleo ingredient needs. Sugar is sugar, no matter what. I find it incredibly frustrating how so many health bloggers say that their recipe is sugar-free, when it contains 2 cups worth of medjool dates, honey, or coconut sugar. From someone who has Type one diabetes and has to adjust insulin depending on how much sugar is ingested I can categorically tell you that your wonderful “sugar-free snack” is not sugar-free! It’s important to realise that any food that has a carb content greater than zero will have some sugar in it. Even foods we don’t usually think of as “sugary,” like squash and potatoes, contain sugar in the form of glucose. In the end whether you’re eating white sugar, a banana or some coconut sugar, they’re all biologically made up of sugars and your pancreas (my insulin pump!) will work for them. Yes, there are many more nutritional benefits to eating natural sugars, of which refined sugar has Zero benefits other than taking your blood glucose on a roller coaster ride. However, I’m not going to get in to the Chemistry behind the difference of fructose and sucrose and refined sugars or unrefined as that’s boring and not what this article’s about. Neither am I going to tell you that by eating “natural” or “unrefined sugar” it will change your life. However, by eating less (preferably NO) refined sugar and using natural alternatives where you can it will culminate in a healthier, happier you. Your mind and body will thank you for the toxic relief. You can read more about the benefits I found by giving up refined sugars and processed foods here. So, what the hell is coconut sugar I hear you ask? 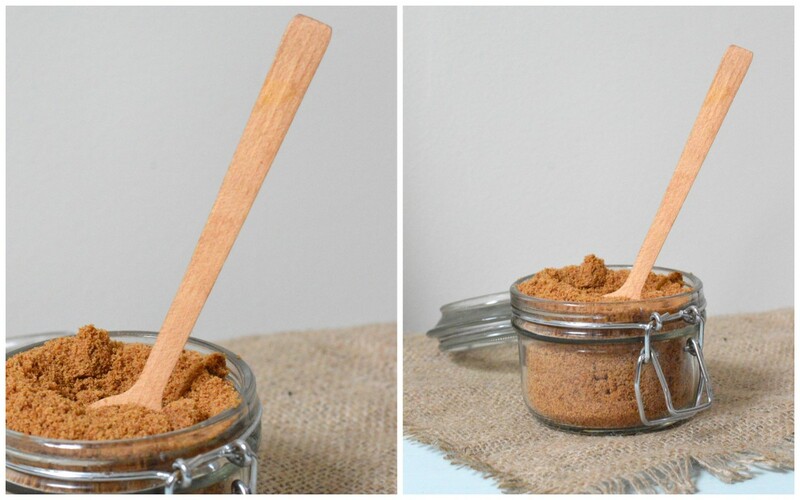 Coconut palm sugar (also known as coco sugar or coco sap sugar) is relatively new to the baking Paleo scene, but has been used as a traditional sweetener for thousands of years in the South and South-East Asian regions where the coconut palm grows in abundance. It has a similar consistency to brown sugar and works beautifully in baking due to it’s caramel-esque flavour. It gives cookies their chew and melts perfectly in to cake mixtures. As far as its nutritional content, it is lower on the glycemic index than regular white cane sugar, meaning that it has less of an effect on blood sugar levels than normal sugar. It also contains higher amounts of magnesium, nitrogen, and Vitamin C than any other natural sweetener. 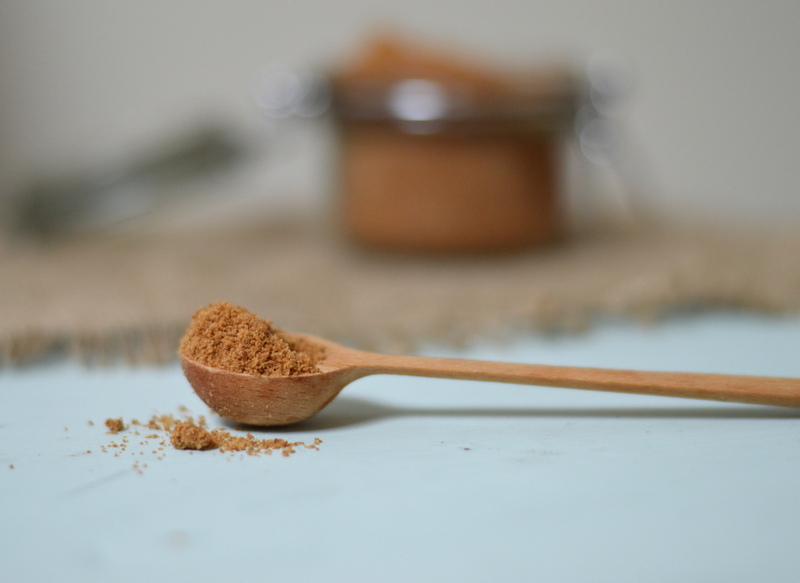 The coconut sap from which coconut sugar is derived contains sixteen amino acids, which have been shown to help build muscle and boost the immune system. Use coconut sugar in baking, hot drinks, making jams and adding to raw desserts, where sugar’s needed, it’s a good glycemic alternative. However, as with anything sugary, it should be enjoyed and eaten in moderation. Throw the white sugar and brown sugar out and use a more health friendly alternative. As with anything in life, be cautious of how much you use / consume. Please note that I have not been endorsed to write this post.